"Jet Skis Address Labels" product is already in your cart. Our Jet Skis Address labels show 4 alternating views of this fun watercraft skipping through the ocean waves with sea spray flying out around them. Jet Skis are personal water craft (pwc) used for recreation and give a personal thrill ride for the operator. 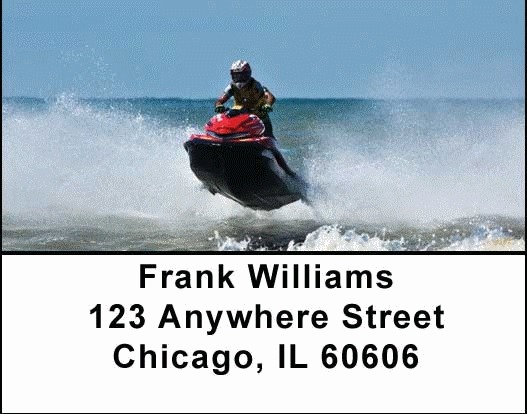 Feel the thrill every time you use these Jet Ski Address labels which are self adhesive. Matching checks are also available.